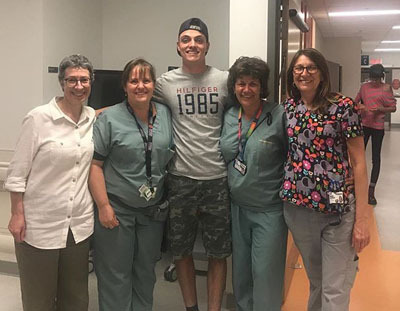 You’d never know it by looking at him today, but 18-year old Keon King is a proud graduate of the Neonatal Intensive Care Unit (NICU) at the Children’s! Born four months premature at just 2 pounds, 3 ounces, he required emergency surgery at just one month old after having developed necrotizing entercolitis – a condition that causes the intestines to perforate and die. His surgery and recovery was thankfully a success, despite the medical team’s concern that he may not make it.